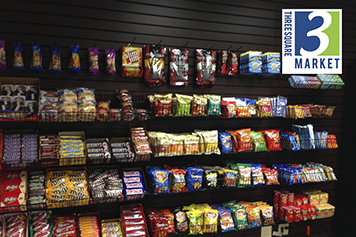 Our beautifully designed, mini stores bring gourmet foods, multiple-size snacks and beverage variety to your workplace. We are proud to offer a revolutionary, open market concept -- the micro market. This aesthetically pleasing setting enhances your breakroom, giving it an exciting new vibe! 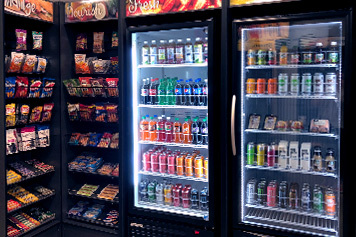 Choose from hundreds of product options, including fresh nutritious choices and options not available in vending. 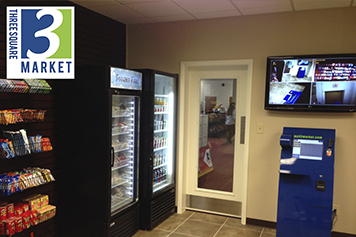 The self-checkout kiosk allows employees to grab-and-go 24 hours a day and virtually eliminates service calls. From the traditional “must-have” products to new “trending” options, our micro markets deliver an exceptional retail experience your employees will love. The expansive product selection includes a variety of better-for-you items, plus products for special diet preferences like gluten-free, organic and non-GMO. Loyalty programs allow employers to support corporate wellness programs or supplement gourmet drink options. Nothing beats the atmosphere of one of our micro markets. It attracts and retains more employees with the variety of food and beverage offerings as well as increases the availability of products that support wellness. Improve job satisfaction with this new, must-have food concept. Web-based inventory management systems ensure the micro market is well-stocked with your location’s preferred options. The self-checkout kiosk allows customers to quickly scan the UPC symbols of the items they want and pay using credit/debit card or specific key card. Each market is also equipped with clear signage indicating the user is on camera, which discourages theft. In fact, our research shows theft amounts are negligible for micro markets in access-controlled work environments. Find out if a micro-market would work at your location! Call us today at (972) 948-3431 or email sales@vendpro.us.